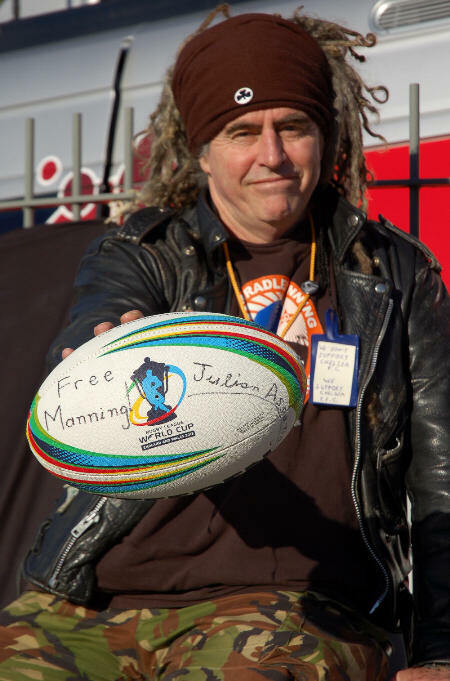 Join us outside the Rugby League World Cup Quarter-final match between Australia and the USA on Saturday 16 November at the Racecourse, Mold Rd (A541), Wrexham. 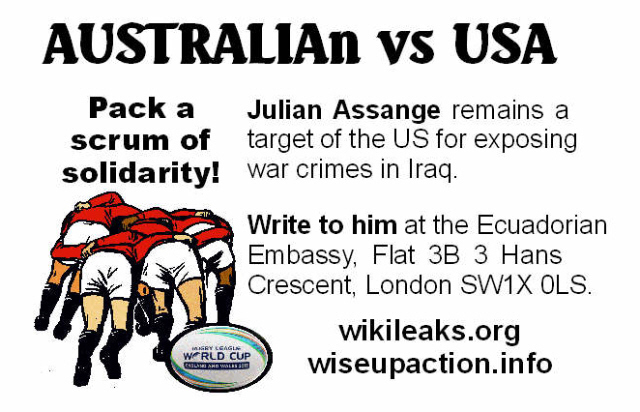 We’ll be there from 11am to 1pm with banners and flyers and maybe some music, along with the draw for a RLWC2013 rugby ball signed ‘Free Manning’ by Julian Assange. 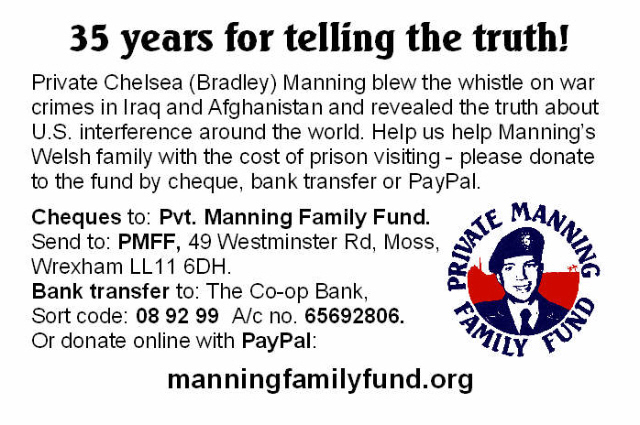 Gallery | This entry was posted in Announcements, Assange, Manning and tagged Australia, Bradley Manning, Chelsea Manning, RLWC2103, rugby, solidarity, US, Wales, Wrexham. Bookmark the permalink.